As the mercury is rising, it is the perfect time to visit hill stations. Following are 5 hill stations to visit in India which will help you cool down from tropical weather and feel rejuvenated when you visit them. Couple of places may be unheard of, but once you visit them, it will stay in your memory for lifetime. 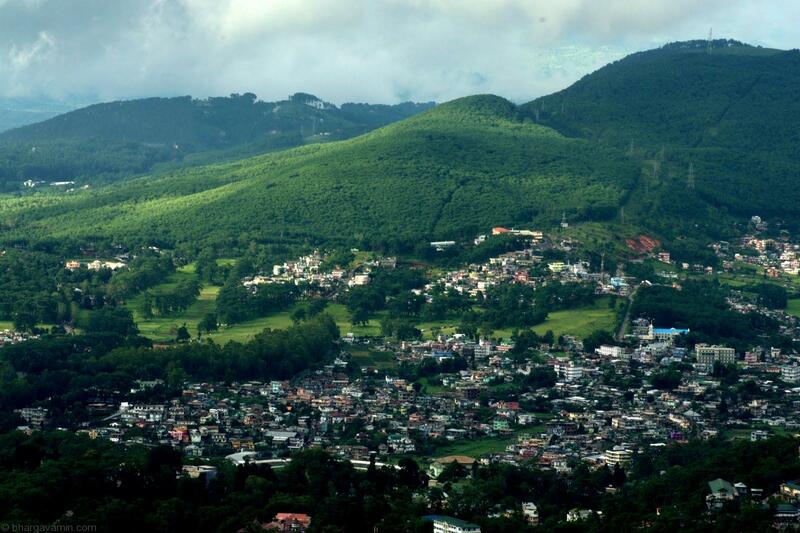 Shillong is the capital of Meghalaya state, also known as Scotland of the East. It is situated at an average altitude of 4,908 ft. above sea level, with the highest point being Shillong Peak at 6,449 feet. The lakes, huge waterfalls, parks and zoos are a great epitome of nature, to understand more about the lifestyle, culture and traditions of Shillong there are museums and galleries. Not to forget, for avid shoppers there is Lewduh (Bara Bazar) which means Big Market- It is one of the biggest markets in North-East India and loosening your pockets there will not make you regret. Shillong is a great idea to visit and explore natural beauty and have many adventures which will be a remarkable experience of your life! Roadway: National Highway 40, an all-weather road, connects Shillong with Guwahati. 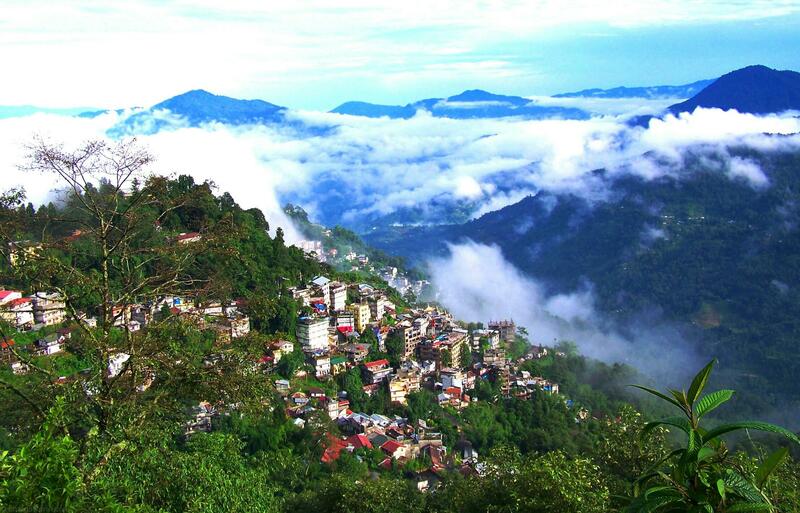 Gangtok is an alluring hill town and the capital of Sikkim, situated 5410 ft. above sea level in North-Eastern India. Gangtok is spread over forested mountains facing Kanchenjunga snow summits. The main hub of the town is MG Marg (Mahatma Gandhi Road) which is country’s maiden litter and spit free zone with no vehicles allowed inside. It is a long stretched place surrounded with various shops to eat and shop and in the center of the road are chairs to sit or hangout. There is a Zig-back ropeway facility which provides a spectacular bird eye view of the town. Hanuman Tok, a temple dedicated to Lord Hanuman, is situated at an altitude of 7200 feet is a blissfully calm place. There are various Buddhist monarchies and Namgyal Research Institute of Tibetology is the most prestigious research institute which has wide a collection of sporadic Lepcha, Tibetan and Sanskrit manuscripts, statues and rare Thankas (colourful tapestries used in Buddhist ritual). Nathula pass, one of the two open trading border posts between China and India is situated 54 kms from Gangtok at 14,140 ft. Other worth visiting places surrounded with nature’s creativity near Gangtok are Yumthang valley in north Sikkim, Pelling in west Sikkim and Tsomgo Lake in East Sikkim. Gangtok is blend of all modern amenities and charming mountains which is a paradise for travelers. Roadway: Well-connected by road from nearby places like New Jalpaiguri, Darjeeling, Kalimpong and Kolkata. Wayanad, least populous district in Kerala is a very tranquil hill town in Kerala, affectionately called as “Green Paradise”. Chembra Peak, the tallest of peaks in region which can surely test your trekking skills and is an apt spot to camp. 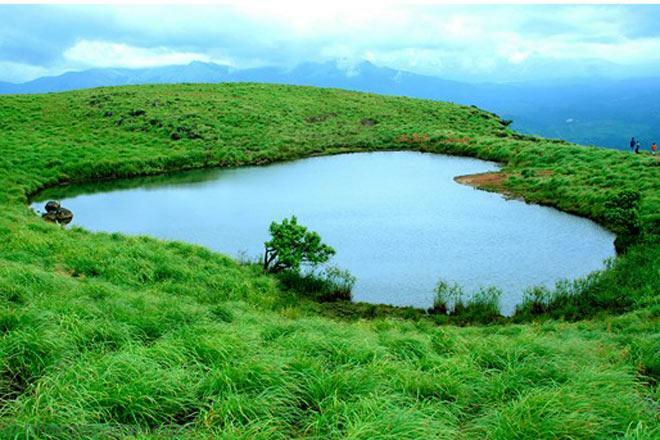 There is also Love Lake (Lake in a heart shape) which will surely catch your eyes. The Meenmutty waterfalls adds to the excitement with its three stage falls dropping from 300 meters. A notable attraction is a bird sanctuary, animals, different species of plants and some large boulders in the caves of Pakshipathalam, located deep within the forest of the Brahmagiri hills, making a perfect spot for Wildlife Photography too. Also, there are lots of Religious Sites and various shops with wide range of specialties of Wayanad like spices, coffee, tea, bamboo products, honey and herbal plants are definitely a take away which will increase your luggage weight. The surrounding foggy Kerala hills just add to the charm of Wayanad and henceforth, making it a perfect and relaxed summer vacation spot. Roadway: Convenient road connections from Kozhikode, Mysore, Kunnur and Udhagamandalam (Ooty) and other major cities. 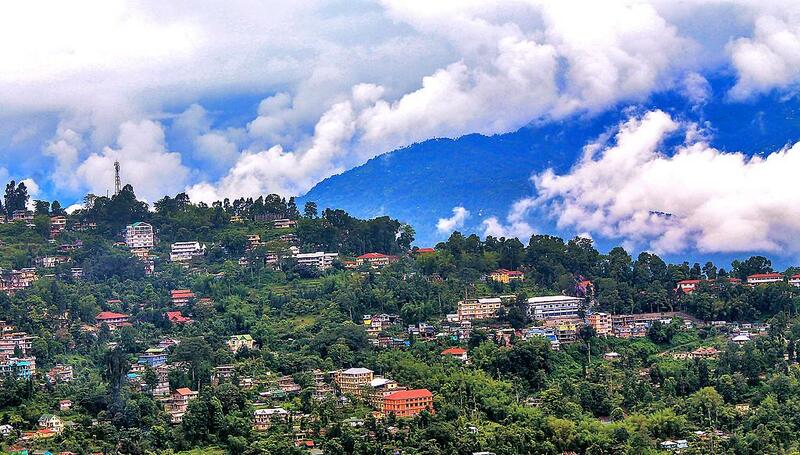 Kalimpong is a hill station residing under the shadows of Himalayas in the state of West Bengal. It is located at 4101 ft. above sea level, has a moderate climate during summer which makes a perfect spot to experience adventure sports. Gumpas, unusual churches, temples, monks and missionaries coexist in this jolly place. Kalimpong has vast range of forests around Lava and Loleygaon and for wildlife lovers it has wild and protected Neora National Park. The mighty Teesta River has carved out valleys and gorges meandering through the hills separating Kalimpong from the state of Sikkim making it an ideal place for river rafting. Located just beside Kalimpong Circuit House is a Golf Course with fascinating view of hills. A peaceful Zang Dhok Palri Phodang monastery atop Durpin Hill which also provides a panoramic view of the town and its surroundings. Rissisum, located 20 kms from Kalimpong at an altitude of 6410 ft. surrounded with mountains is a beautiful picnic spot. A holiday in Kalimpong is a relaxing experience comprising of town delights like shopping, relaxation, walking, trekking holidays, wildlife adventure, mountain biking and river rafting. 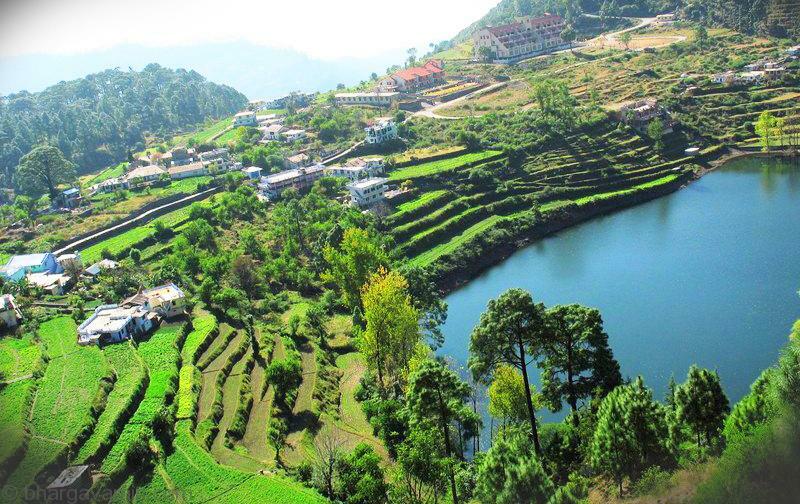 Ranikhet located in the state of Uttarakhand is opening its doors to new experience of hill station. It is also cantonment town, located at 6132 ft. above sea level surrounded with western peaks of Himalayas. Golf Course in Ranikhet is a 9-hole course and one of the highest golf courses of Asia. Ashiyana Park designed & developed by Ranikhet Cantt. specially for children on jungle theme. Ranikhet has India’s second and 800 years old Sun Temple, Katarmal. Also, Jhula Devi and Ram temple are notified spiritual attractions with various other temples worth visiting. KRC (Kumaon Regimental Centre) Museum is well maintained by Kumaon and the Naga Regiment of the Indian Army, has a wide collection ranging from stories of the heroics of the First World War till date. Inspiring stories, monuments and weapons kept for display gives a strong feeling of patriotism while visiting the museum. Bhalu Dam or Baludham is an artificial lake blessed with natural beauty, views of Himalayan Mountains and beautiful garden. One of the main attractions and a must do is Paragliding over the Kumaon hills which will leave you thrilled and is once in a lifetime experience. Roadway: Well-connected by road from airport and railway station and major cities of Uttarakhand and Northern India. Thank you for reading. Feedback and queries are heartily welcomed in the comment section below. Wish you have great summer holidays! Previous post West Indies : The World T20 Champions!